What is Site Stats & Lead Stats? 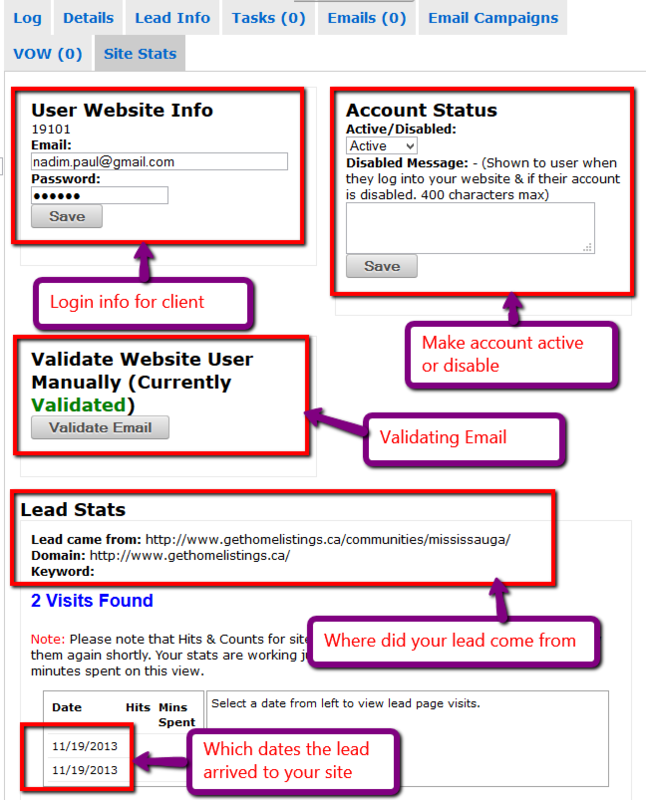 "Site Stats" is the tab in your lead which keep record of all the activities of your lead. This tab is a helpful sales tool and gives you all the relevant information you need to have a sales conversation with your lead. 2. 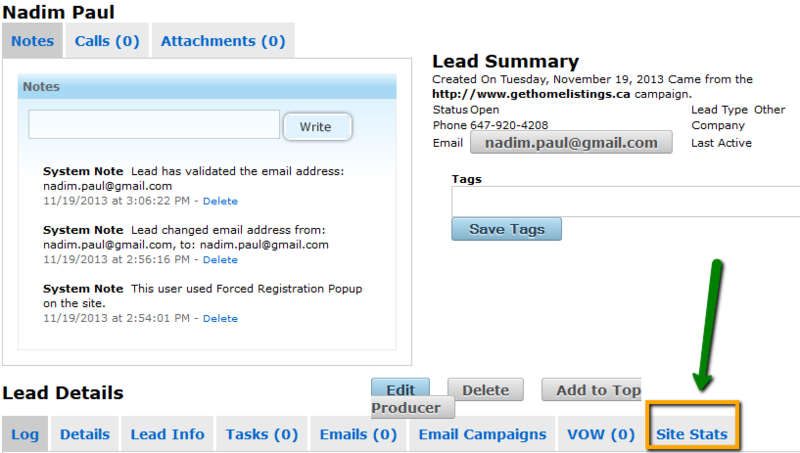 Once you are in home page of your CRM, click on the name of the lead for which you want to check activity on your website. 3. Once you click on the name of the lead, you will be brought into the file for that specific lead. Here. click on"Site Stats"